I love the publicity shots that Diamond Select Tous send out with their launch material. 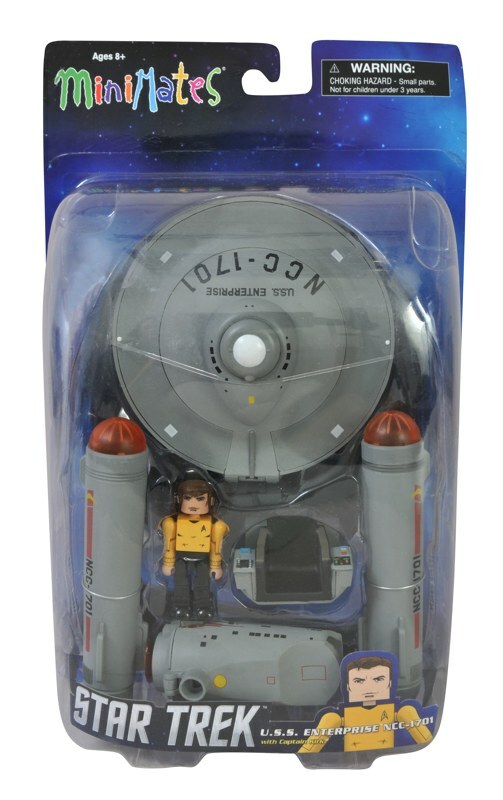 The pose of the new Minimate Kirk from the USS Enterprise set is definitely rivalling the "Khaaaaaan!" pose of the Legends series figure we featured recently. Anyway, before I get too indulgent in marketing, let's talk sets and features. 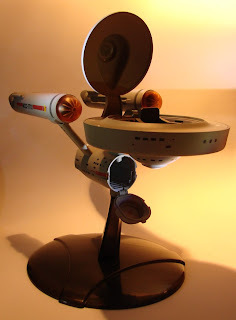 Aside from producing those great new figures recently, Diamond Select Toys have provided some mobility for the crew, coming out alongside an awesome recreation of the USS Enterprise! With an opening bridge dome, a removable command chair and a hidden Jefferies tube in the engineering section, the ship measures 10 inches long and comes with an adjustable display base. 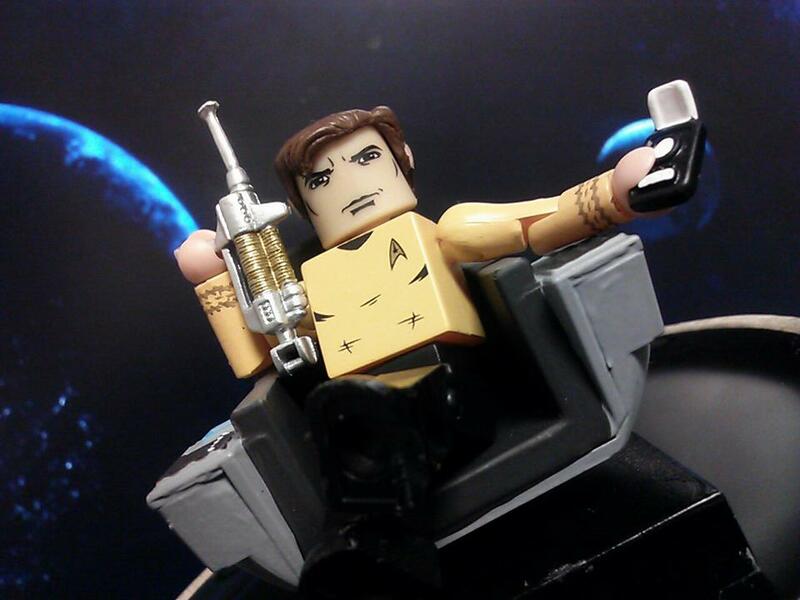 But thats not all, you'll also find included an exclusive Minimate of Captain James Tiberius Kirk, with phaser, phaser rifle and communicator accessories - so you can recreate that awesome promo pose above! Packaging is pretty standard for the Minimates range although since to have a little bit of construction work to do before she can be set up and displayed. 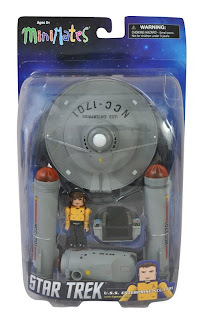 Sadly, no image of the back of the pack this time from Diamond Select Toys however that doesn't detract from how great this squat recreation of the legendary ship is. Designed and sculpted by Art Asylum this new arrival is suggested for retail at $29.99 (£20.13).